I primarily stick to writing reviews about books, but occasionally I write one about a product I love. 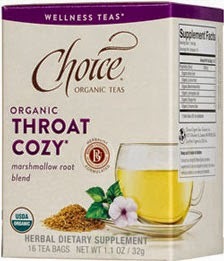 In this case, it's Choice Organic Teas. Teas and books are a staple in my house and didn't C.S. Lewis say, "You can never get a cup of tea large enough or a book long enough to suit me."? Since the weather has been cold and life has been crazy, it's been nice to sit down with the various tea blends although I admit I haven't tried the Breathing Space or Throat Cozy yet. I'm sure by the end of the holiday season, I will contract a cold or feel a bit under the weather; and I'm confident I will be enjoying those teas as well. 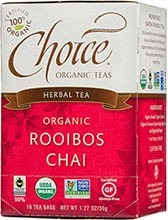 Choice Organic Teas is the original organic tea company and has a wide variety of teas that are perfect for the holiday season. There are teas that are perfect for tea/food pairings as well as teas that can help support digestion in case you overindulge! 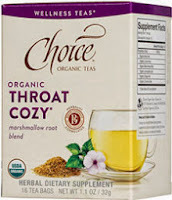 There are black, white, oolong, and green teas along with herbal and wellness teas to name a few. 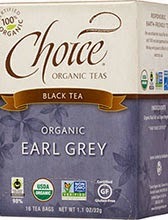 I was truly impressed by the number of different teas that Choice Organic Teas offer. A delicious Oolong tea pairs well with homemade Christmas cookies or gingerbread treats. The complexity and gentle earthiness of this sophisticated tea makes it the perfect compliment to sweets. Warm your guests up with Hot Tea Grog, a spicy tea drink with cloves, rum and cognac. The clove flavor and dark run make this a bit of an exotic tasting brew for a festive variation on traditional holiday spirits (serves 4). You can have Choice Organic Teas delivered to your home or you can find them at a store near you. Right now they have free shipping on orders over $29! 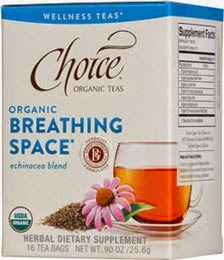 My sister is the big tea drinker in our family and she loves this brand of tea. You know I love tea! Thanks for the reviews. I love Choice teas! I have tried some of these. I enjoyed your post this morning. I really love tea as well. These look delicious!